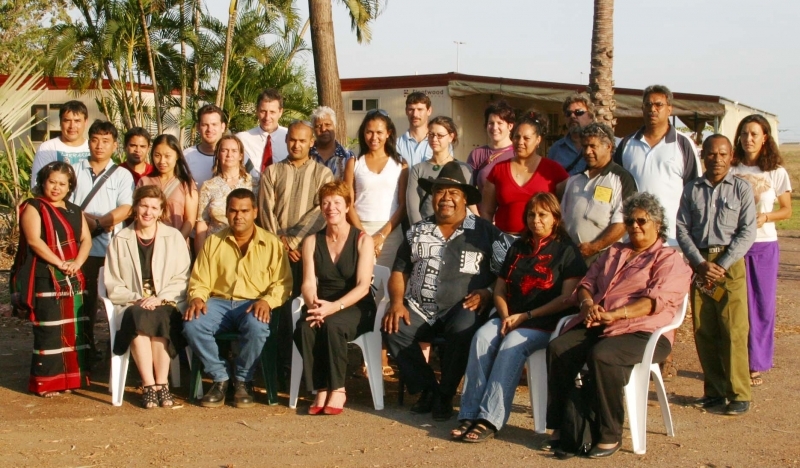 The Diplomacy Training Program’s thematic capacity building program Indigenous People, Human Rights and Development, was held in Darwin, Australia from July 25th – August 4th, 2004. The program brought together 22 Indigenous educators, advocates and administrators from around Australia and from Indigenous Peoples in Bangladesh (Jumma – Chittagong Hill Tracts); Burma (Karen); India (Nagaland); Papua New Guinea; New Zealand and Indonesia (West Papua). 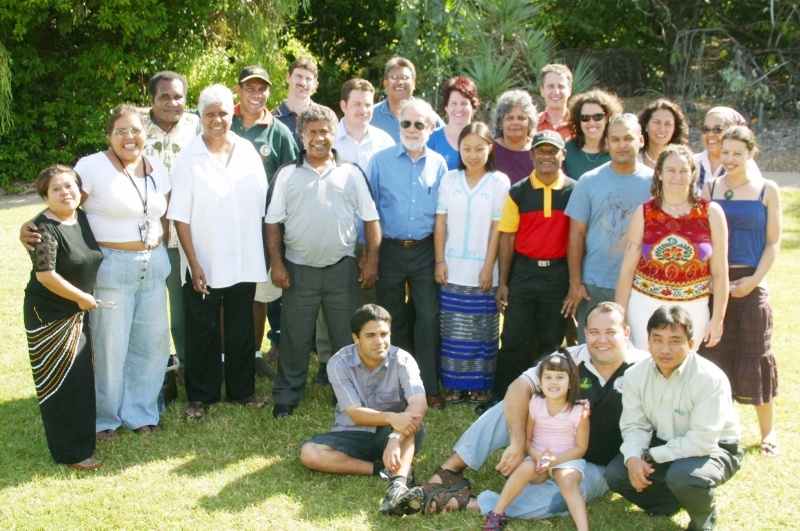 The training program was held in partnership with the Northern Land Council and was hosted by the School for Australian Indigenous Knowledge Systems (SAIKS) at Charles Darwin University. It was made possible through the generosity of the Friends of the Diplomacy Training Program and funding provided by Oxfam - Community Aid Abroad (OCAA). Funding for the program and to support the participation of individual participants also came from Caritas Australia, Mercy Foundation, Ministry of Foreign Affairs Finland, Northern Territory Department of Community Development, Rio-Tinto Aboriginal Foundation and The Bodyshop. The training program was developed to respond to some of the human rights challenges facing Indigenous Peoples across Australia and the Asia-Pacific region. While the specific challenges in each country are different, there are some common issues. The Diplomacy Training Program believes that there is tremendous value in the sharing of experiences, and in bringing people together to learn from each other as well as from the experts who lead individual sessions.